Discover the food trends that are predicted to grow the fastest in 2019 and beyond! Join Hatchery partner Datassential for a sneak peek at the cutting-edge flavors and ingredients that most consumers haven’t even heard of yet, and understand why it pays to be more future-forward in today’s trend cycle. Topics we’ll cover include Haiku, Datassential’s machine learning engine that predicts trend growth; why even established retail and restaurant brands are starting to take a chance on flavors and ingredients that are super early in the Menu Adoption Cycle; and flavors & ingredients just starting to come into the marketplace. Mike Kostyo is the resident Trendologist at Datassential, the food industry’s leading market research and trends company. 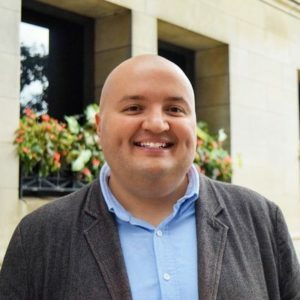 At Datassential, Kostyo oversees the company’s seven TrendSpotting magazines, custom client publications, and he leads trend immersion tours across the country. Kostyo was a recurring guest on Fusion TV’s “The AV Club Show”; has been featured on WGN Radio, CBS Radio, and Gimlet Media’s “Why We Eat What We Eat”; is regularly featured in newspapers and magazines; has spoken at numerous conferences across the country; and he was a judge on Food Network’s “Eating America.” He’s also a member of the International Foodservice Editorial Council; he has a master’s in gastronomy from Boston University, plus certificates in the culinary arts, baking arts, wine, and artisan cheese production; and in his spare time he teaches cooking classes at Chicago’s Peterson Garden Project.